Break Time is Edited and De-Widowed! I wasted all afternoon getting rid of widows in the Break Time manuscript, the steampunk anthology I wrote with several other authors. Well, not all the widows. My character is a widow, and I can’t get rid of her. The widows I tried to get rid of are the printing variety. The problem is, when you get rid of one of those sneaky little things, another one or two pops up. To be honest, I don’t see that there is a problem with widows. Widows are the last couple of words of a paragraph that end up at the top of the next page. Truly — so what? I can see that there is a problem when the last few words of the last paragraph of a chapter end up on a page all by themselves. The words seem so . . . lonely. Besides, it would be be like a stop sign, taking readers out of the story. But if a second paragraph begins immediately after the widowed words, who but a purist would even care? And anyway, with ebooks so prevalent, there are no pages, so there can be no widows. Break Tiime will be published as both a print book and an ebook, however, so apparently, widows are a consideration. If it were just a matter of fixing one or two such problems, that would be fine, but if you alter the formatting so that the widow disappears, it alters the formatting for the rest of the chapter or story, moving the lines around and creating new widows. So you have to fix the new problems, which creates more widows . . . and the next thing you know, the entire evening is gone. Wasted. That’s the problem with editing — ripples. Anything you do ripples through the whole manuscript. Still . . . we have all done the best we can with Break Time. It’s as good as all its editors can make it. So . . . hallelujah! 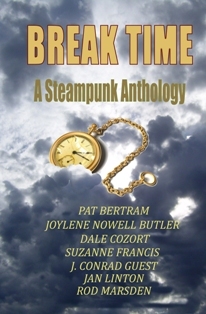 Break Time should be ready on its scheduled release date — May 1. Yes, I’ve come across the problem of what you call widows before. Anyway, the good news is that it is full steam ahead for May the first. There are still a few widows that seem impossible to get rid of, but yes, all in all good news. Oh, so that’s what those things are called. I always wondered about that. And thanks for telling me the release date, Pat. I’ll definitely get it when I get the chance. It’ll be available in Kindle format, right? Yes, it will be available in Kindle. So getting it when I get the chance. In Word, go to Format, choose Paragraph, choose the tab “Line and Page Breaks”, and insure you have a check in the box next to “Widow/Orphan Control”. See if that helps. A lot of publishers use that function, but then you end up with uneven bottom margins, and as a reader, I find that annoying. Extra space is supposed to indicate a break in the narrative, and all those unnecessary pauses add up.